Every now and then you stay at a hotel where you're just not sure what it's going to be like. Photos on the website seem to show potential and the reviews are mostly positive, so you take a gamble and pray for the best. We have to be honest, that's a bit how we felt about Hotel Budir. We just weren't sure. And yet, it ended up being our favorite place we stayed our entire trip. 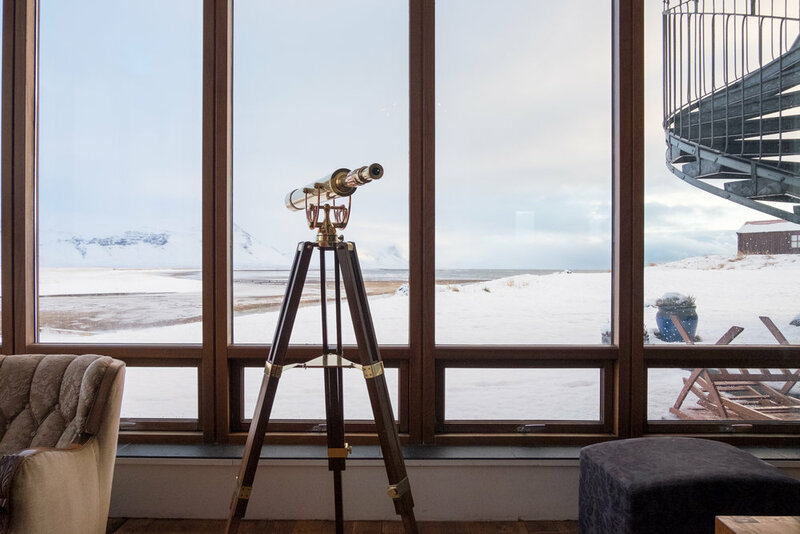 Hotel Budir may be the most hygge place in Iceland and we would go back over and over again. There's just something special about it that doesn't come across in the photos or the reviews. It's something you have to experience in person. Take a peek at our stay below and you'll just have to trust us that a stay here is an experience not to be missed. Getting to Hotel Budir is a feat in itself. 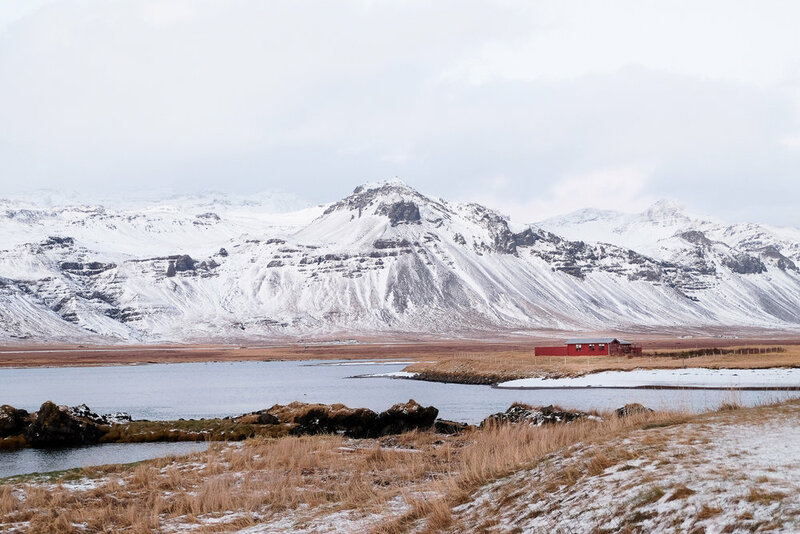 You're heading to one of the most remote places in the world with breathtaking views from every window inside the hotel. In some ways Hotel Budir feels like a quirky b&b with no room the same and interesting design and details in every corner. Communal spaces are decadently decorated with velvet armchairs, chandeliers, and ornate candlesticks that make you feel like you've stepped back in time. We adored room #9 with its comfy window seat, leather chairs, and beautiful wooden floors. The snow-covered views were absolutely mesmerizing. Stuck inside because of stormy weather? Fill an afternoon skimming through every edition of Nat Geo ever. A nice touch in every room and the lounge areas are these warm wool blankets scattered around. After a locally sourced dinner in the dining room, grab a blanket and curl up in an armchair near the bar for a night cap and some northern lights hunting. Hotel Budir. Rates start at $265/night. Wild Terrains worked in collaboration with Hotel Husafell but all opinions are our own. All images owned by Wild Terrains.